Samsung SSD drive provides a faster and safer solution for data storage and transferring. This emerging storage technology also ensures a lower rate of failure than other types of storage media. But like other form of data storage, these advanced drives also fail. A SSD accesses data using NAND flash memory and has no mechanical moving parts unlike hard drives, so they are more durable. SSD’s are less prone to physical shock & water damage and are commonly used in tablets, smartphones and increasingly in desktops and laptops. There are mainly 2 different interfaces for data transfer (PCIe and SATA), 2 different protocols (NVMe and AHCI), and 4 physical connectors (SATA, M.2, PCIe and mSATA). Now let’s have a quick breakdown of the terminology. SATA – This physical connector is used by most SSDs, as well as, 2.5 inch and 3.5 inch hard drives. 2 – This is a physical connector used for both PCIe and SATA SSDs. M.2 drives are smaller than 2.5 inch SATA drives, thus used in ultrabooks and high-end PCs. mSATA – Before M.2 became common, the mSATA drives were used in many ultrabooks. PCIe – PCIe is a faster interface that is capable of transferring up to 985 MB/s per ‘lane’. 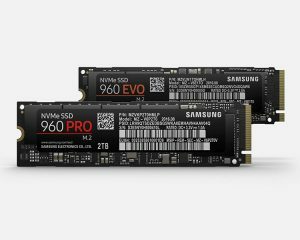 NVMe – It is a new interface protocol for PCIe, replacing the place of the earlier AHCI protocol used with hard drives and SATA SSDs. Portable SSD – Samsung portable SSD offers external storage for your tablet, PC, laptop and smartphone. It uses the V-NAND technology for compact storage. SSD recovery is very different from a hard drive recovery and requires different tools. This means it needs a specialized process to recover deleted or corrupt files. So, if your SSD drive loses data, immediately turn off your device and call a data recovery company with extensive experience on flash drive recovery to avoid further data loss and damage. Do not attempt a recovery data procedure on your own as this could result in permanent data loss. 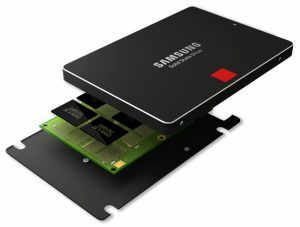 Some common symptoms of Samsung SSD failures include file corruption, repeated file access issues, slow transfer rates, and a large number of bad sectors. Data doctor offers professional hard drive repair and recovery service to recover data from hard drive and your Samsung SSD drives. We operate in a fully secure environment within a certified clean room to securely recover deleted files and missing data. Samsung portable SSD’s are very popular due to its compact size and heavy data transfer speed. Data doctor also recovers data from Samsung portable SSD. Data doctor can recover all your important photos, files, e-mails or some other documents deleted or lost from the Samsung portable SSD. How to recover a WD 40NMZW-11GX651 4TB after a power failure?